When her mother dies, Kate must face reality and return to her old family home in Herne Bay, the place she managed to escape and become one of the top War Reporter’s. This meant leaving her sister Sally, who found an escape by drinking. With a troubled childhood leading their future choices returning to the family home is not all it turns out to be for Kate. The mix of past memories and the terrors she has witnessed in her job, she must decipher between what is real and what is a hallucination, to uncover old secrets that have remained a mystery for the family. Three days was all it took me to devour this debut novel. The novel is split into two characters perspectives, sisters Kate and Sally. Both are seeking to escape the taunting memories of their childhoods, both with very different ways of remembering it. Kate ran away thinking she had found an escape but in actuality ran into the dangers of War in Aleppo. As for Sally she ran into the warm embrace of the bottle. Both are united in their past and yet a family feud keeps them apart for the majority of the book. The novel not only plays with the mind of the characters, but of the reader too. The way Nuala has written this novel presents us, the reader, with an unreliable narrator. We are brought straight into the novel with Kate being interviewed by a psychiatrist. This sets the tone for the novel as we’re left wondering if we should trust our protagonist at all, a thought that Ellwood plays on throughout the novel. What I really enjoyed about this book was that Ellwood wrote on topics of the modern era that need to be addressed in reality: mental health, alcoholism and the violence that continues in destitute countries and the aftermath of this trauma such as PTSD. Reading through Kate’s thoughts, dreams and hallucinations teamed with Sally’s constant drunkenness presents a disorientating story that makes you wonder what to believe. The twists in the novel make the whole book an incredibly compelling yet chilling read, you believe you know one thing and then Ellwood throws a twist into the mix. It’s from this that you can just begin to fathom what it must be like for the sisters in these mind sets. The final shock of the novel was one that I suspected early on, but when it did happen that didn’t make it any less of a shock, as I still had questions and doubts. Like the characters, I couldn’t quite take in this new information, or like them, didn’t want to. And the fact it was right under Kate’s nose the whole time, makes it even more frustrating. I found that the ending rounded off the whole trauma experienced in this story and brought a sense of peace for the characters. 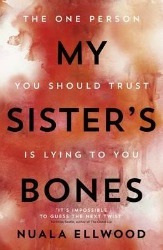 ‘My Sisters Bones’ is a chilling debut novel from Nuala Ellwood. I would recommend this book highly and needless to say will be keeping an eye out for her future works. 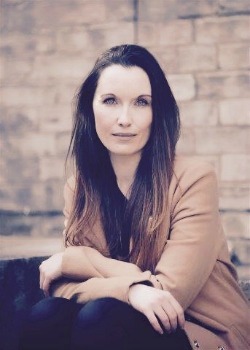 Click here to see Nuala Ellwood on the Penguin Microsite. .
1) You write about PTSD and mental health, how did you find writing on such a topic? Did you draw from personal knowledge or a close source? My novel focuses on the link between PTSD and war reporting. I haven’t experienced the condition myself so I had to research the subject in detail. Along the way I was introduced to the work of Dr Anthony Feinstein who is a professor of Psychiatry at the University of Toronto. He wrote a seminal work on the subject called ‘Under Fire: The Psychological Hazards of Covering War’ and was one of the first to explore the link between war reporting and PTSD. My chats with Dr Feinstein helped enormously. I also spoke to war reporters and clinical psychologists and what I learned about the condition helped me to tackle it sensitively as possible in the novel. 2) You set the sisters against each other in their struggle with their troubled childhood. Why did you decide to divide them rather than unite them? Being the youngest of five children I’ve always been fascinated by family dynamics, particularly amongst siblings. There is the sense that siblings can love you fiercely and hurt you just as fiercely. Each sibling will also have their own version of what their childhood was like. This is what I wanted to explore in the relationship between Sally and Kate. They had the same upbringing but look back on it in very different ways. They also followed different paths – Kate left Herne Bay and became a very successful war reporter; Sally stayed and descended into alcoholism – but when it truly matters they stick together and this rang true for me. Siblings may argue and fall out, may even lose contact for years, but when it comes down to it most will fight to the death to protect each other. 3) Where did the inspiration for this novel originally come from? I had always wanted to write a novel about a female war reporter as I’ve long been fascinated with them, not least how they make themselves heard in such a male-dominated industry. In my early twenties I met the Sunday Times foreign correspondent, Marie Colvin, who was later killed while covering the war in Syria. Something she said stuck with me. It was that “bravery is not being afraid to be afraid.” This belief, along with the line from the legendary Martha Gellhorn that being a war reporter is about “making an angry sound against injustice” stayed with me as I wrote this novel and developed the character of Kate. But as I looked more into the subject matter of PTSD and the link between it and war reporting, the story of ‘My Sister’s Bones’, and a journalist whose word is no longer believed, began to take shape. 4) The twist at the end of the novel is so well thought out. Did you know this was the ending you wanted for your book early on? I knew that something terrifying and unexpected was going to be uncovered but the specifics unveiled themselves along the way. I can’t say too much more in case I give the shock ending away! 5) You write fantastic, distinctive characters. Do you feel the characters in a novel are as important as the plot, or even more so? Thank you so much. Believable characters are very important because no matter how strong your plot is it won’t work if your characters are clichéd and two-dimensional. Likeable or not, your character has to be alive, has to get under the reader’s skin and live on in their memory long after they have finished the book. 6) What is your creative process? Do you have it all set out from the beginning or create it as you go along? It usually starts with an idea that I will allow to gestate for a few weeks. At this point I usually get lines of dialogue, themes and settings floating round in my head that I scribble down in my notebook. Once the story is screaming in my head begging to be written down then I begin to plan a synopsis. After that I just throw myself into the story, knowing that the synopsis will change and change and change some more by the time I hand in the finished manuscript. The wonderful part of the novel writing process is the twists and turns you encounter along the way, the surprises, the minor characters that end up taking centre stage, the good ones that turn bad. As a writer, you know that when the story begins to take on a life of its own you’re headed in the right direction. 7) Are you working on anything at the moment? Do you think you will write for the same genre? I’m currently working on my next novel, a literary thriller, which tells the story of a woman who wakes up in a hospital bed to be told that she has killed her child and that her husband has left her, taking all their money with him and selling the house along the way. She has no recollection of her daughter’s death or how she came to be in this situation… That’s all I can say about it for now, other than it has an even more shocking twist than ‘My Sister’s Bones’! 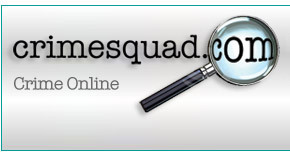 8) Are you a fan of crime fiction? If so, what are the top three crime novels that have made a lasting impression on you and you would wish to have on a deserted island? Crime and Punishment by Fyodor Dostoevsky: One of my favourite novels of all time, Crime and Punishment depicts, in excruciating detail, the guilt, mental anguish and moral reasoning of a killer. I return to it again and again to remind myself just how powerful writing can be. Enduring Love by Ian McEwan: McEwan takes an idyllic summer’s afternoon in which a couple, Joe and Clarissa are enjoying a picnic in the countryside and rips it apart. The horror comes out of the blue – literally – as a hot air balloon is ripped from its moorings with a ten year old boy trapped inside. Several men, including Joe, rush to help. One of them pays with his life. All are affected by the horror they have witnessed. But for Joe, the accident brings a troubled stranger into his life, marking the beginning of a dangerous obsession that threatens to destroy everything he holds dear. Though more literary thriller than a crime novel, it is a magnificent story of obsession written by the master of literary suspense. The Raven by Edgar Allan Poe. I hope you’ll let me have this one, even though it’s a poem and not a novel. As a teenager, I devoured the stories and poems of Edgar Allan Poe. I loved the strange sense of ‘otherness’ they conveyed and the wonderfully macabre metaphors that sent chills down the spine. I still wonder whether my teenage insomnia stemmed from Poe’s ‘sleep, those little slices of death’ line but I feel his influence on me now as a writer. I re-read ‘The Raven’, when I was writing ‘My Sister’s Bones’, and was struck at the parallels between the sinister bird who haunts the troubled man in the poem and the nightmares and hallucinations experienced by my war reporter protagonist as she battles the horrors of PTSD.